How are you preparing for next month, May - the Month of Mary? How about holding an Rosary Exhibition for the kids at your parish, school or home? 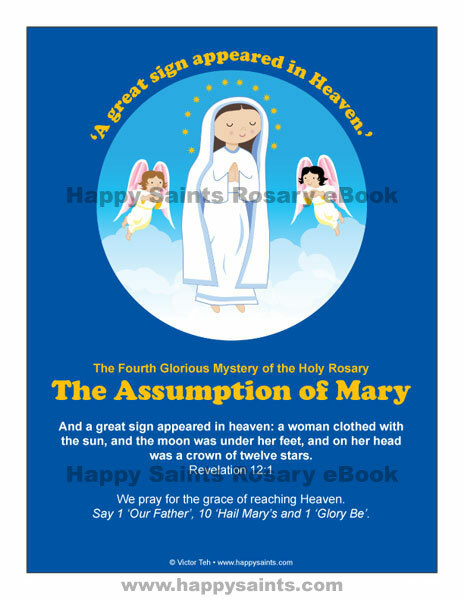 The Happy Saints Rosary eBook includes 20 printable posters depicting each mystery of the Holy Rosary, complete with a relevant scripture verse and a prayer intention. The eBook also includes printable prayer cards, greeting cards, coloring pages and badges!